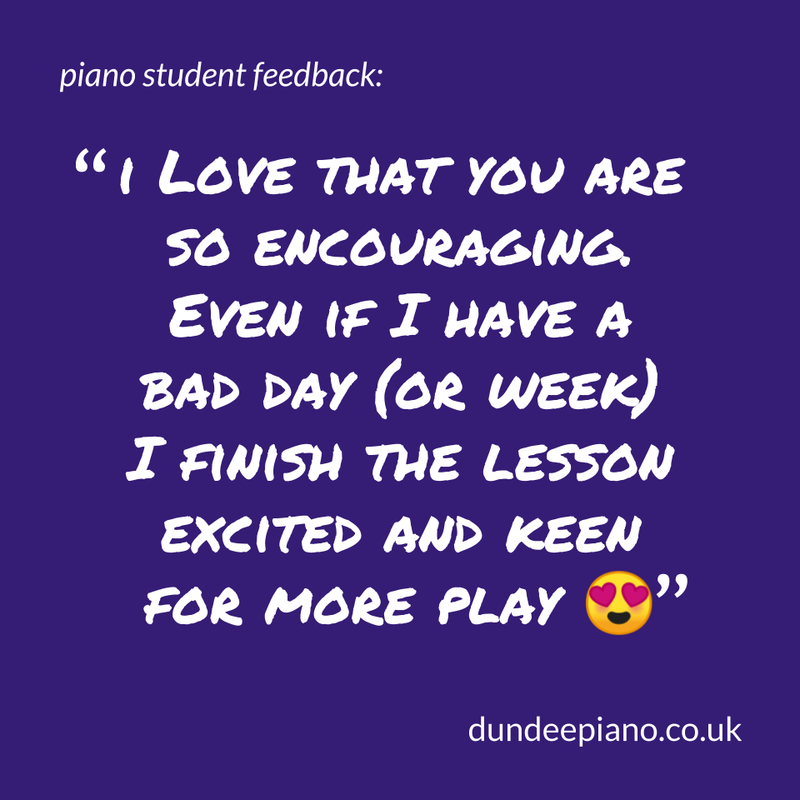 We do fun lessons to help you learn how to play the piano, including scales, chords, reading music and more. 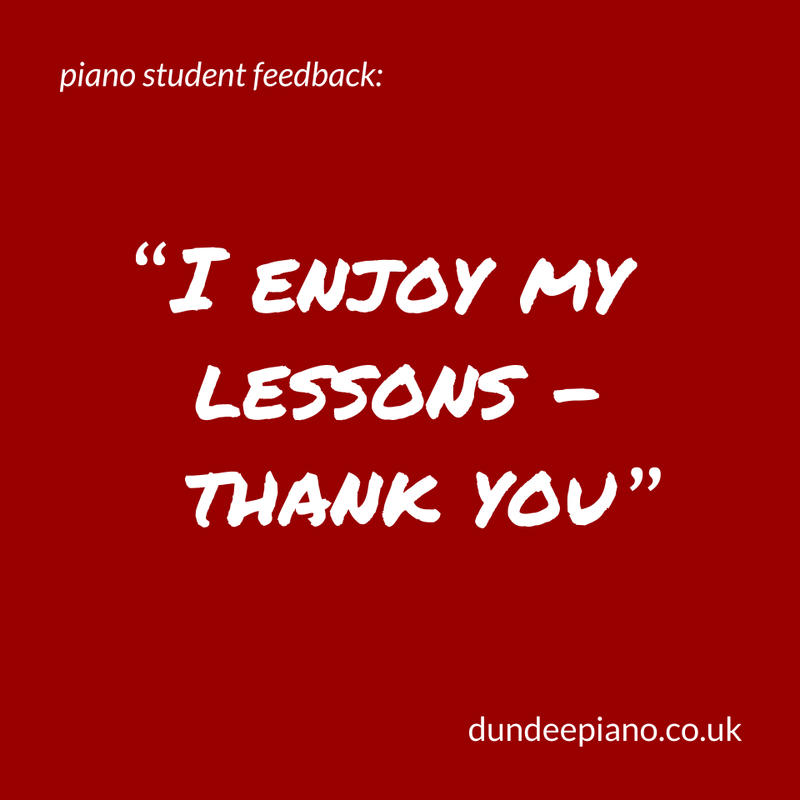 I'm based in the west end of Dundee, students of all ages come to me for lessons every weekday. Currently I'm very busy, but please do send an email to enquire about lessons. Tell me what days and times suit you, and I'll let you know if a potential lesson slot becomes available. I passed ABRSM Grade 5 Piano, and ABRSM Grade 5 Theory (Distinction) - and have trained to Grade 7 level so far... 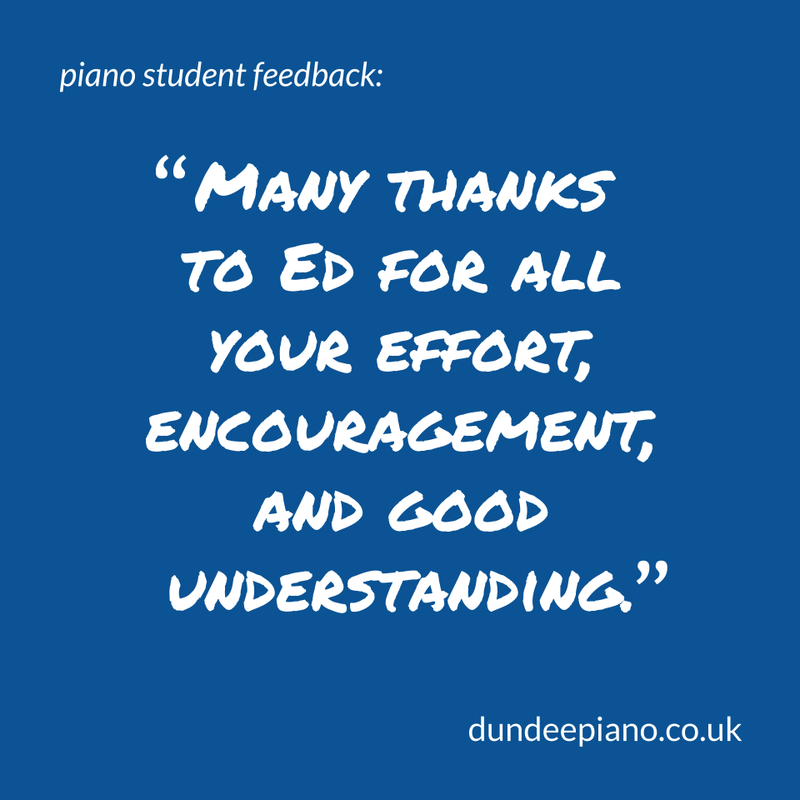 I have full PVG Scheme membership and experience of teaching piano to a wide range of people. As well as scales and chords, we cover other useful tips and techniques like playing by ear and improvising. I can help you prepare for exams if required. We can look at classical music, blues, rock, jazz or whatever you like - and I'll share advice from 20 years of piano-playing (+ 10 years of learning before that). From knowing nothing about piano, to playing a range of tunes in a year. Learning tips for playing blues and improvising. From beginner to Grade 2 in 16 months, then Grade 4 in a further year. Learning for grade exams: more about grades, plus specific pages for grade 1, grade 2, grade 3, grade 4, grade 5, grade 6. Here's a list of musical terms you may find useful: Musical Dictionary - more than 200 musical terms. 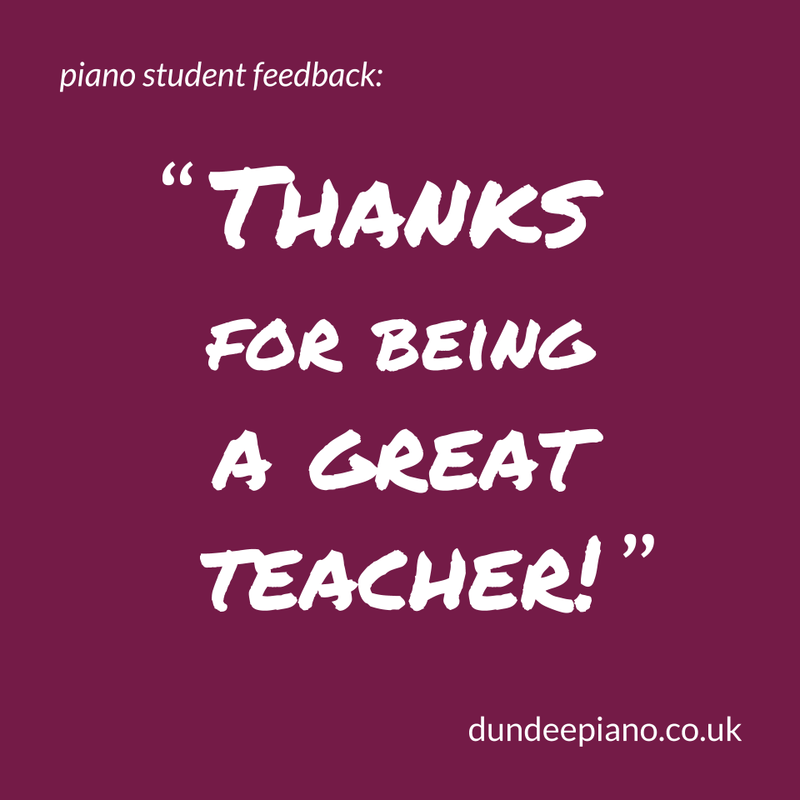 Active piano teachers have been shown to be more effective in lessons - demonstrating and giving feedback, rather than only listening. 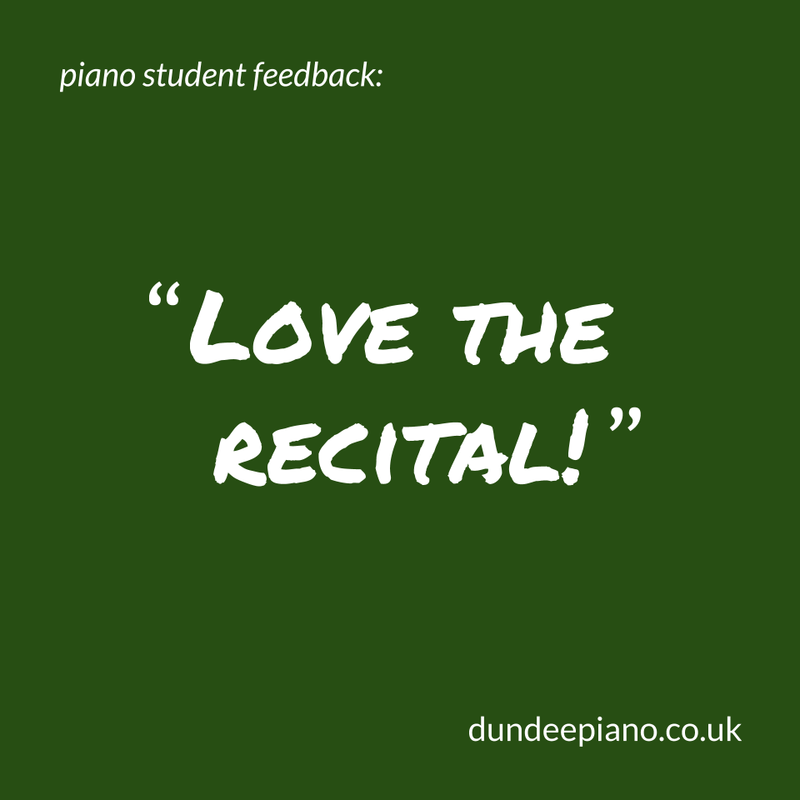 A study of school children found learning piano improved self-esteem and music skills, but had little impact on other subjects - so be wary of the Mozart effect, or wild claims that lessons improve unrelated areas! Piano lessons have been shown to improve mood and quality of life, and decrease depression in people over 60.